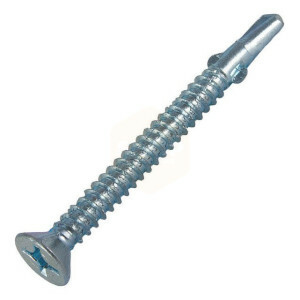 Tek Screws from Sky Blue Fixings are perfect for self drilling and tapping screws. Eliminating the need for a pre-drilled hole which allows drilling and fastening to be done in the same motion. These feature counter sunk heads. Sky Blue Fixings provide a wide range of Tex screws to meet all your fixings needs. We supply Baypole screws, countersunk tek screws and wafer head screws.